Created by two experienced watchmaking engineers, MUSE – Swiss Art Watches ® is a registered trademark of Swiss watches, based in St Cergue, Vaud. It is based on a concept and totally unique designs that highlight the philosophy, the artistic sense and the quality requirement of these two creators. Its ambition is to merge the watchmaking tradition with the modernity of contemporary art and offer high quality products at the fairest price. At MUSE, we believe that the present is the only reality that counts: The past is over and the future remains to be written. The only moment we have taken and where we recharge ourselves is the present moment. 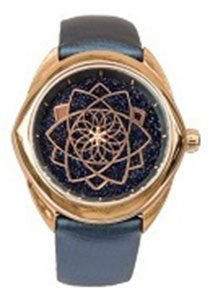 MUSE watches embody the power and beauty of the present moment. To wear a MUSE watch is to live closer to its values. Each owner has the opportunity to engrave a message on the bottom of his watch, reinforcing its unique and precious character. Read the exact time on your MUSE when you need it, and at any time, admire it to connect to the essentials and recharge your batteries. Therefore, your MUSE is more than just a watch, it is your talisman, bearer of meaning and positive energies that accompany you everywhere. 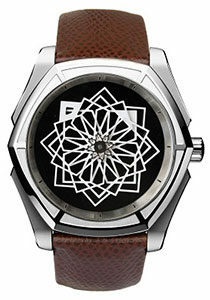 Beauty and meaning: as our name suggests, our watches are designed to inspire their wearers, whether male or female. In a hyper-connected world that is constantly accelerating, MUSE watches are a poetic and artistic reminder of the need to take a step back to relax and connect with the essentials. That’s why we’ve replaced traditional hands with finely crafted patterns that evolve over time and create compositions in perpetual movement. This show is an invitation to open a parenthesis, to pause, and to live at a more natural rhythm, that of the present moment. Our watches are born in the Vaudoises mountains. They were imagined, designed, assembled and tested between St Cergue and La Chaux-de-Fonds. They are dozens of passionate craftsmen, working in different trades, who helped us to give them life. For them, as for us, quality and reliability are paramount principles. We thank them warmly and wish to pay homage to them with our creations which combine traditional mechanics and contemporary aesthetics. You may have noticed, our logo and the name of our brand do not even appear on the dial. We consider, in fact, that the purity of our design is more important than our advertising. We consider that the purity of our design and your reading comfort is more important than our advertising. Dial and flange: Polished Aventurine dial. Blue flange with satin finishes and polished pink gold appliques.